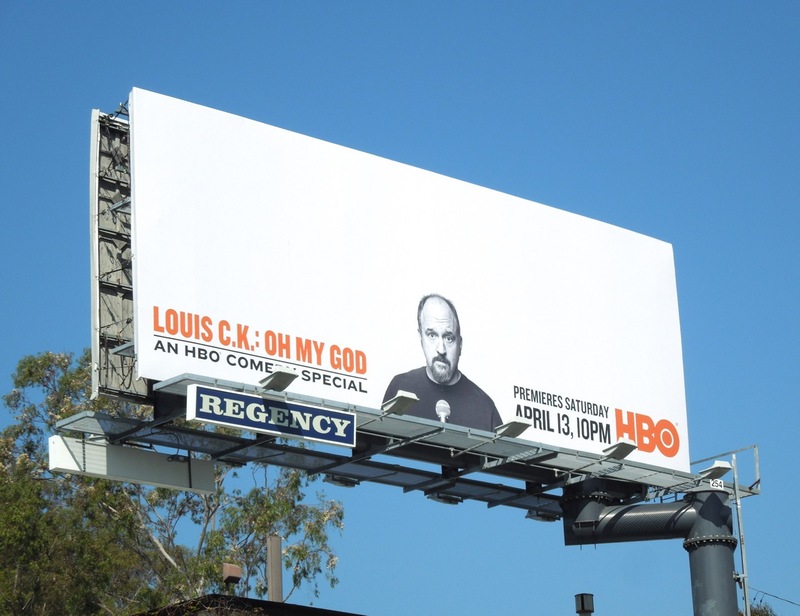 Hot on the heels of his Primetime Emmy wins last year, funny man Louis C.K. 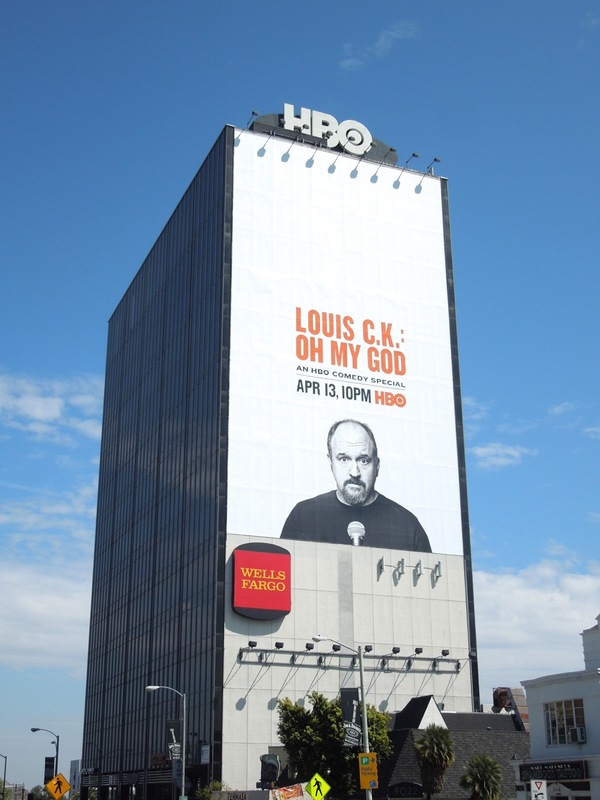 is back in the skies of L.A. with this nice understated billboard creative for his new HBO comedy special 'Oh My God'. 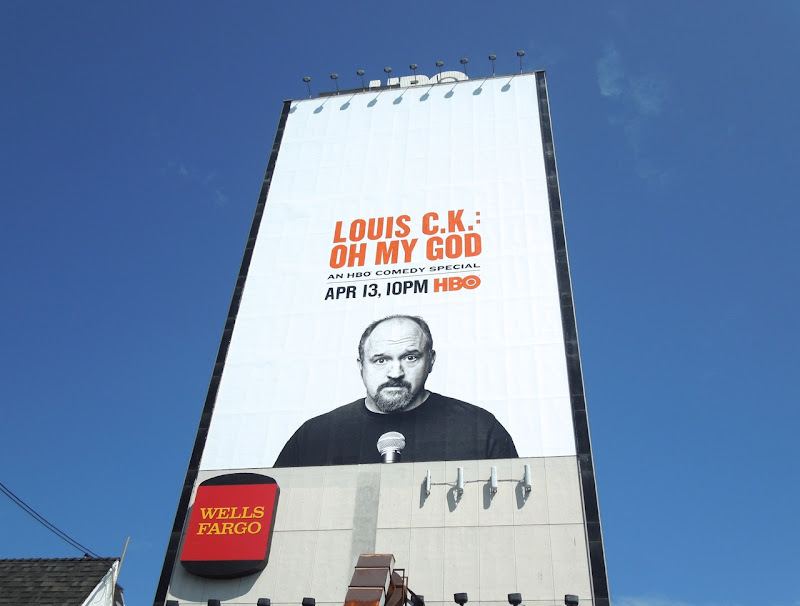 The simple ad really does sum up the stand-up comedian, just a guy on stage with a microphone telling jokes without any of the usual showbiz razmataz. 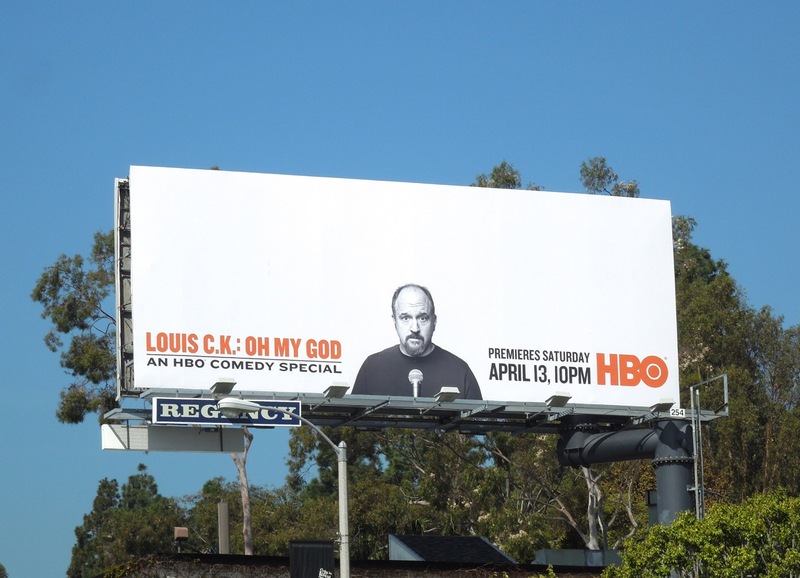 This Louis C.K. 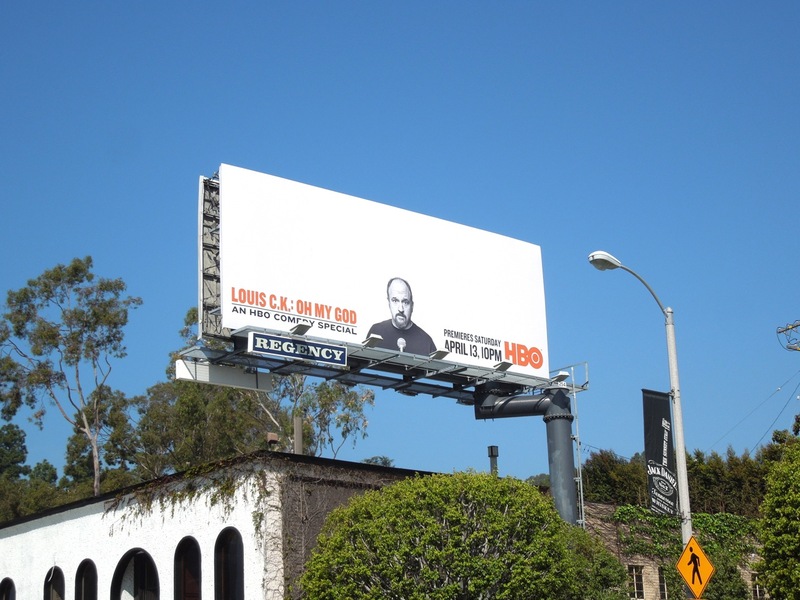 : Oh My God billboard was spied along L.A.'s Sunset Strip on March 15, 2013. 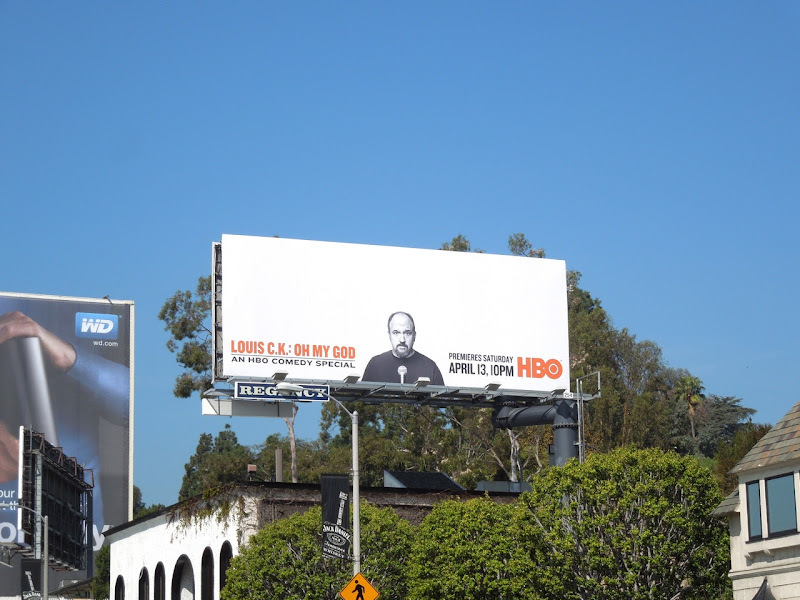 It really is true, sometimes less is more. 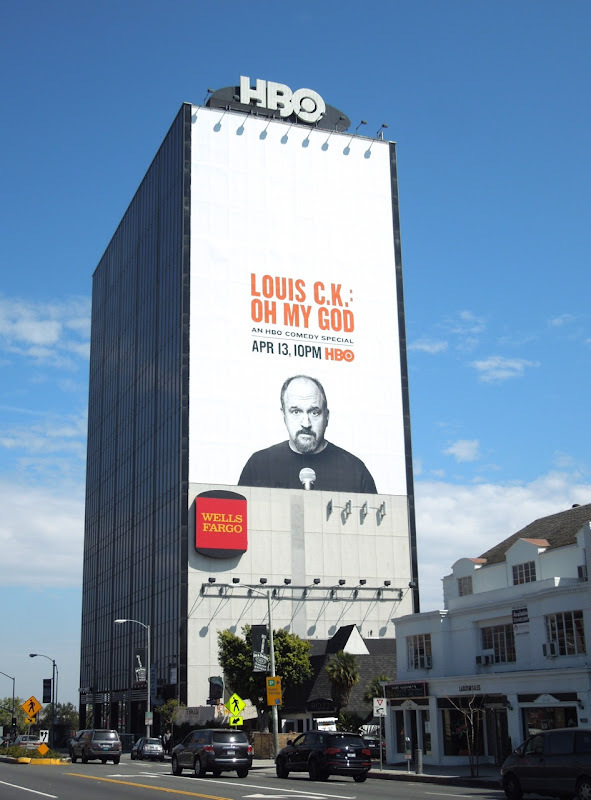 UPDATED: If you liked the standard landscape creative for the comedy special, then you'll love this giant-sized version snapped along Sunset Boulevard on April 4, 2013.